CHP President Kemal Kılıçdaroğlu shared a message at the occasion of the 95th anniversary of the foundation of the Republican People’s Party (CHP). He added the following : ‘People’s party CHP which is the party of the liberation and foundation, of those who do not bow to foreign powers and who do not serve anyone slavishly is 95 years old’. 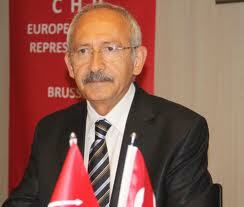 President Kılıçdaroğlu shared a video regarding the 95th anniversary of the foundation of CHP from his Twitter account.